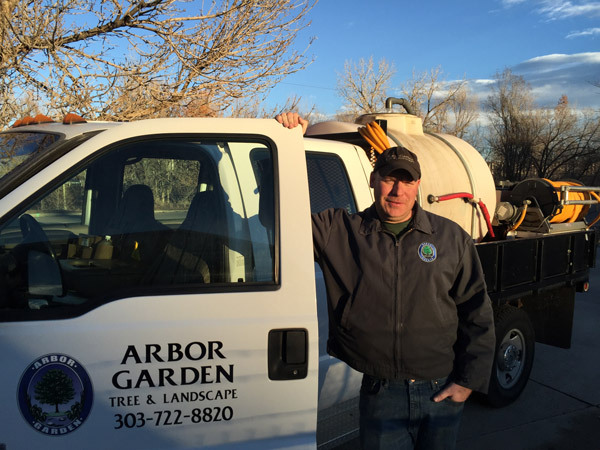 Arbor Garden is locally owned and operated, serving the Front Range area of Colorado since 1994. 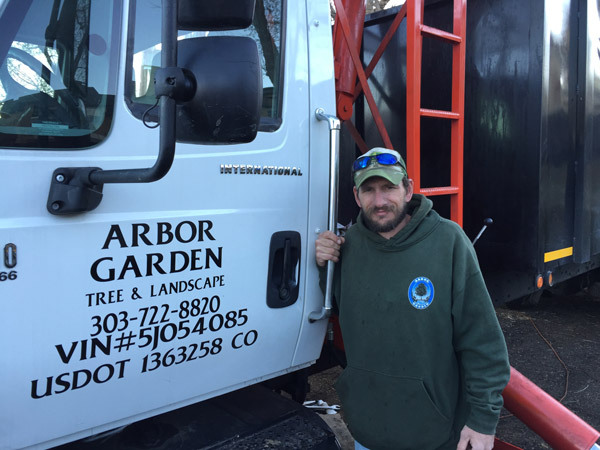 Arbor Garden specializes in tree pruning, removal, stump removal, planting and pest management. The company is locally well known and is regularly recommended and retained for services by satisfied customers. Clients include Denver Country Club, various city and county governments, many homeowner associations, and private homeowners. We look forward to having you join our long list of satisfied and repeat customers. Arbor Garden is made up of a team of long-time staff under the direction of owner David Clarke. And, of course, Arbor Garden is fully insured with workers compensation and liability insurance. Matt Smith is our Plant Healthcare Manager and is running the company with Dave’s passing. He is in charge of the Plant Healthcare Department and responsible for integrated pest management. 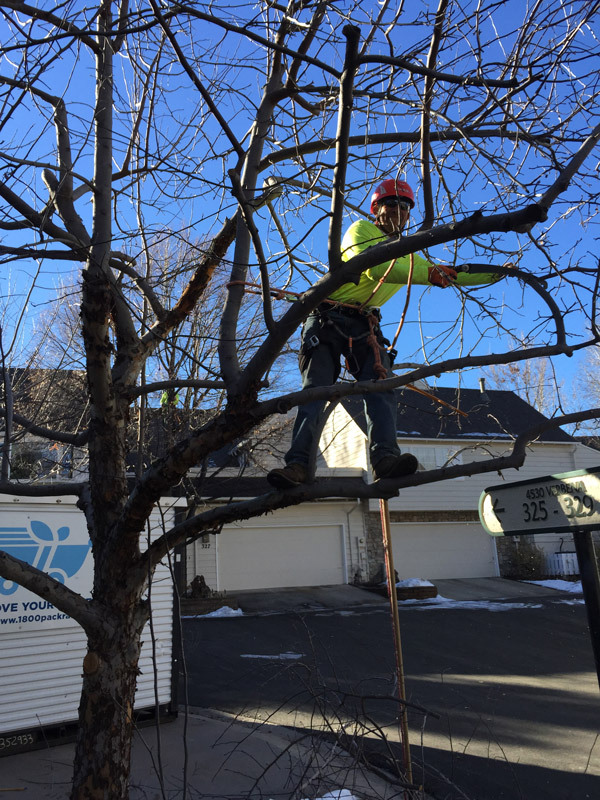 He is an ISA Certified Arborist #RM74-74A and Qualified Supervisor #29667 with the Colorado Department of Agriculture for pesticide and insecticide applications. He has been with Arbor Garden since 2001. Roland Soto - US Air Force Veteran, has been in the tree care industry for 16 years with experience in Management of Plant Healthcare, Spraytech, Sales, and Climbing. 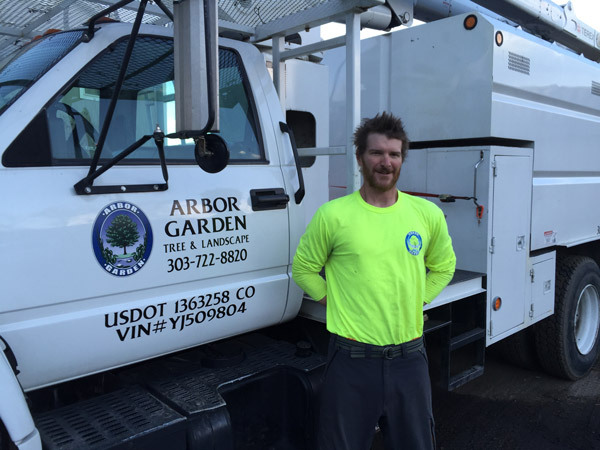 He has been an asset to Arbor Garden since 2012, and is now Assisting Matt with running the company. Chad Delzell has been a Certified Arborist #RM-7011A for 10 years. His passion is trees, his hobby is climbing trees. He has volunteered for eight years as the chair of the tree climbing competition committee and has recently finished serving a four-year term on the board of the local ISA after ending with the presidential term. 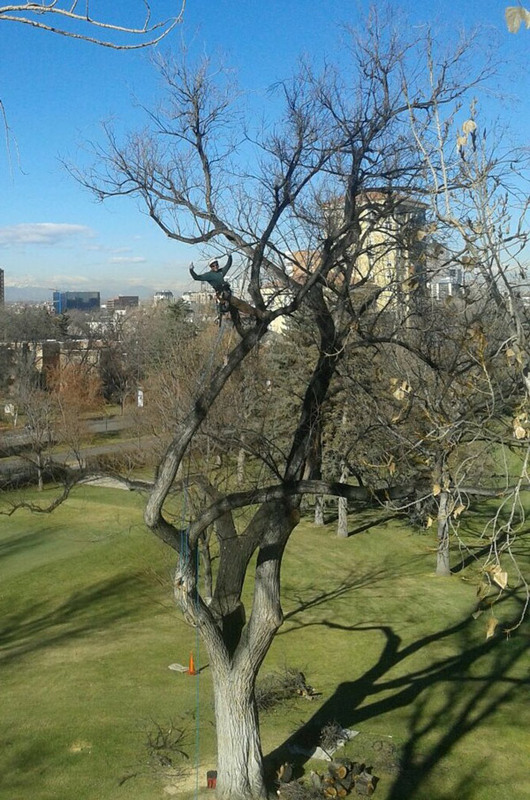 He has also volunteered at 4 international tree climbing competitions. Starting in the industry in 1998 in Atlanta with a solid foundation in plant health care, he not only loves climbing trees but also loves keeping them healthy. 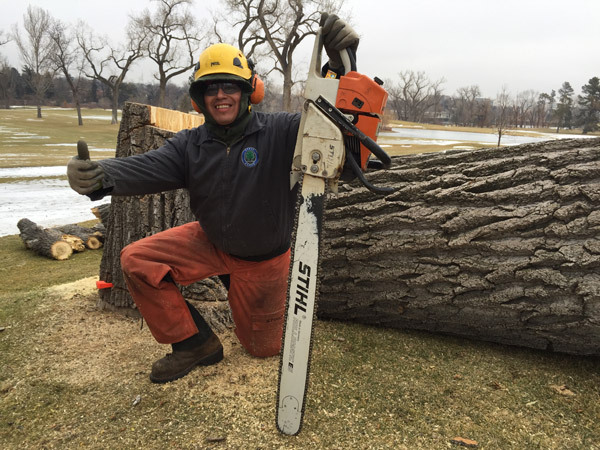 He holds titles as a certified tree worker safety professional (CTSP#01153) through the Tree Care Industry Association and a Qualified Supervisor (QS#23648) with the Colorado Department of Agriculture for pesticide and insecticide applications.